Autism is a disorder with no known cause or cure. Parents of children with ASD will understandably pursue interventions and treatments that offer the possibility of helping their child, particularly if they are perceived as unlikely to have any adverse effects. Unfortunately, families are often exposed to unsubstantiated, pseudoscientific theories, and related clinical practices that are ineffective and compete with validated treatments, or that have the potential to result in physical, emotional, or financial harm. The time, effort, and financial resources spent on ineffective treatments can create an additional burden on families. As a result, parents and caregivers everywhere are eager for credible, research-based information on the most effective treatments for autism spectrum disorders (ASD). To address this need, the National Autism Center has released its newest manual, A Parent's Guide to Evidence-Based Practice and Autism, to help parents and caregivers differentiate empirically validated treatment approaches from treatments that are unproven and/or potentially ineffective. The 134-page manual focuses on helping parents as they make decisions about how to best help children with ASD reach their full potential. It begins with a review of the autism spectrum, symptoms, and co-occurring conditions, and identifies and describes effective treatments. Other topics include the importance of professional judgment, the role of family preferences and values in the decision-making process, and factors to consider when choosing a team of professionals to help their child. 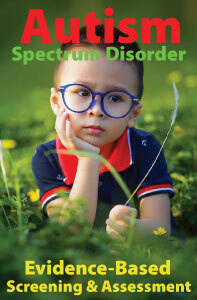 The manual is the latest in a series of publications by the National Autism Center. Visit the Center’s website to download a free copy, watch a video, or learn more. 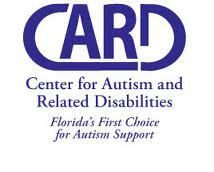 The National Autism Center is May Institute’s Center for the Promotion of Evidence-based Practice. It is dedicated to serving children and adolescents with Autism Spectrum Disorders (ASD) by providing reliable information, promoting best practices, and offering comprehensive resources for families, practitioners, and communities. An advocate for evidence-based treatment approaches, the National Autism Center identifies effective programming and shares practical information with families about how to respond to the challenges they face. The Center also conducts applied research and develops training and service models for practitioners. Finally, the Center works to shape public policy concerning ASD and its treatment through the development and dissemination of National Standards of Practice. There has been a dramatic worldwide increase in reported cases of autism over the past decade. 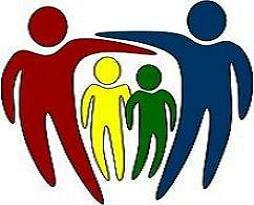 Today, autism spectrum conditions affect approximately 1 to 2 % of the school-age population. Mental health professionals, educators, and policy makers recognize that educational programs are essential to providing effective services to children with ASD. Behavioral and educational interventions are currently the benchmark interventions for autism. However, educators are faced with some unique challenges. 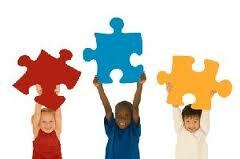 Children with autism have intellectual and academic profiles that can differ to a large degree. No two children are alike. As a result, no one program exists that will meet the needs of every child with autism. Additionally, children with autism learn differently than typical peers or children with other types of developmental disabilities. To meet the needs of the individual child, it is critical to examine the child’s strengths, weaknesses and unique needs when determining the appropriate educational placement and developing a program of special services. While the components of intervention programs might vary, it is generally agreed that program intensity combined with early identification can lead to substantial improvement in child functioning. The following are key components of a comprehensive educational program for students with ASD. • An effective, comprehensive educational program should reflect an understanding and awareness of the challenges presented by autism. • Parent-professional communication and collaboration are key components for making educational and treatment decisions. 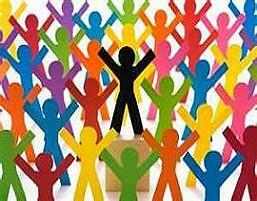 • On-going training and education in autism are important for both parents and professionals. Professionals who are trained in specific methodology and techniques will be most effective in providing the appropriate services and in modifying curriculum based upon the unique needs of the individual child. • Inclusion with typically developing peers is important for a child with ASD as peers provide the best models for language and social skills. However, inclusive education alone is insufficient, empirically-based intervention and training is also necessary to address specific skill deficits. • Assessment and progress monitoring of a student with ASD should be completed at specified intervals by an interdisciplinary team of professionals who have a knowledge base and experience in autism. • A comprehensive IEP should be based on the child’s unique pattern of strengths and weaknesses. Goals for a child with ASD commonly include the areas of communication, social behavior, adaptive skills, challenging behavior, and academic and functional skills. The IEP must address appropriate instructional and curricular modifications, together with related services such as counseling, occupational therapy, speech/language therapy, physical therapy and transportation needs. Transition goals must also be developed when the student reaches 16 years of age. • Teaching social skills in the setting (classroom) in which they naturally occur is the most effective approach and helps the generalization of the skills to new environments. • No single methodology is effective for all children with autism. Generally, it is best to integrate scientifically validated approaches according to a child’s needs and responses. Students with autism spectrum disorders (ASD) who demonstrate serious and persistent behavioral challenges should be provided with an individual behavior intervention plan. The Individuals with Disabilities Education Act (IDEA) stipulates that a functional behavior assessment (FBA) be completed and a behavior intervention (or support) plan (BIP) implemented for students with disabilities when they are the subject of school discipline proceedings or being considered for an alternative placement. IDEA also requires that positive behavioral support programming be provided to eligible students who are in need; particularly when the behavior impedes learning or the learning of others. Functional behavior assessment (FBA) is an important component of providing positive behavioral support to students with ASD. FBA methods are considered best practice in identifying and designing behavioral interventions. A consistent finding has been that intervention plans developed from functional assessment information are more likely to result in a significant reduction of challenging behavior. An important goal of a functional assessment is to identify antecedents or environmental situations that will predict the occurrence and nonoccurrence of the student’s challenging behavior. Another goal is to obtain and expand information that will improve the effectiveness and efficiency of intervention strategies. FBA identifies the function(s) that the behavior appears to serve for the student. For example, students might exhibit challenging behaviors with the goal of escape or the goal of seeking attention. When the curriculum is difficult or demanding, students may attempt to avoid or escape work through their behavior (e.g., refusal, passive aggression, disruption, etc.). They may also use challenging behavior to get attention from adults and peers. Because students with ASD also have significant social and pragmatic skills deficits, they may experience difficulty effectively communicating their needs or influencing the environment. Thus, challenging classroom behavior may serve a purpose for communicating or a communicative function. When we understand the goal of student behavior then we can begin to teach alternative replacement behavior and new interactional skills. An FBA can be conducted in a variety of ways. There are two general assessment tools to assist in the collection of information about the variables and events that surround the occurrence (or nonoccurrence) of the student’s challenging behavior. The first are interviews and rating scales that provide information from the individuals (parents, teachers) who know the student best, along with the student themselves. The second method is direct observation of the student in his or her natural daily environments. 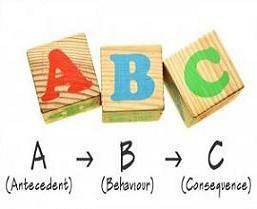 One observation strategy for collecting observational information is the A-B-C format. The observer records the Antecedent to the behavior (what happened immediately before the behavior), describes the Behavior, and the Consequence of the behavior (what happened immediately after). The following steps are a general guide to developing a comprehensive student behavior intervention or support plan. Development of the plan should begin with a functional assessment (FBA) of the problem behavior to understand the student and the nature of the challenging behavior in the context of the environment. Next, the professional team examines the results of the functional assessment and develops hypothesis statements as to why the student engages in the challenging behavior. The hypothesis statement is an informed, assessment-based explanation of the challenging behavior that indicates the possible function or functions served for the student. Once developed, the hypothesis provides the foundation for the development of intervention strategies. The focus of intervention plan is not only on behavior reduction, but for also teaching appropriate, functional (generally communicative) skills that serve as alternative/replacement behaviors for the undesirable behavior. Following implementation of the BIP, the team regularly reviews and evaluates its effectiveness and makes modifications as needed. Early intensive behavioral intervention (EIBI) is considered a central feature of intervention programming for children with autism. EIBI programs are among the most and best researched of the psychoeducational interventions. Several research publications and meta-analysis indicate that early intensive behavioral intervention (EIBI) may improve the quality of life and level of functioning for children with autism spectrum disorders (ASD). EIBI programs are based on applied behavior analysis (ABA), a behavioral approach that is well supported in the research literature. 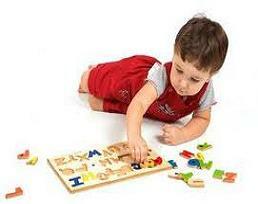 ABA can be thought of as an inclusive term that encompasses a number of concepts and techniques used in the assessment, treatment, and prevention of behavioral problems in children with ASD. Perhaps the best known technique within EIBI is called discrete trial training. This method involves breaking behaviors down into subcategories and teaching each subcategory through repetition, positive reinforcement, and prompts that are gradually removed from the program as the child progresses. The principles of ABA are also incorporated within other interventions and programs such as incidental teaching and pivotal response training. EIBI programs have typically focused on preschool and young children. Research now suggests that school-age children with ASD may benefit as much as younger children from this approach and that EIBI programs can be successfully adapted to school settings. Although there is little professional disagreement that EIBI is an effective treatment, on average, for children with autism, we should be mindful that it does not produce significant changes in all areas of children’s functioning or result in similar gains for all children. Moreover, EIBI may not be appropriate for all children. While EIBI is an important and effective intervention approach, there is a need for further research documenting the maintenance of gains of EIBI and long-term outcomes. Further information on evidence-based treatment/intervention for autism is available from the National Autism Center. Lee A. Wilkinson, PhD, CCBT, NCSP is author of the award-winning book, A Best Practice Guide to Assessment and Intervention for Autism and Asperger Syndrome in Schools, published by Jessica Kingsley Publishers. He is also editor of a text in the American Psychological Association (APA) School Psychology Book Series, Autism Spectrum Disorder in Children and Adolescents: Evidence-Based Assessment and Intervention in Schools, and author of the book, Overcoming Anxiety and Depression on the Autism Spectrum: A Self-Help Guide Using CBT. His latest book is A Best Practice Guide to Assessment and Intervention for Autism Spectrum Disorder in Schools, (2nd Edition). L. A. Wilkinson A Best Practice Guide to Assessment and Intervention for Autism and Asperger Syndrome in Schools. Philadelphia, PA: Jessica Kingsley, 2010. 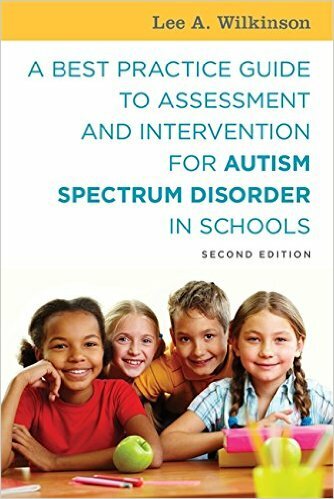 A Best Practice Guide to Assessment and Intervention for Autism and Asperger Syndrome in Schools is a new book providing comprehensive and detailed information pertaining to school-based assessment and treatment of Pervasive Developmental Disorders (also commonly referred to as autism spectrum disorders). Written by Dr. Lee A. Wilkinson, a practicing school psychologist, professor, and established researcher in the field of autism spectrum disorders, the book contains seven chapters, each focusing on a specific aspect of working with and supporting individuals in this population (e.g., screening, assessment, interventions). In line with its title, the focus of the book is on the implications for practice and the implementation of best-practice approaches by mental health professionals working in a school setting. It serves as a resource for parents and mental health professionals who work with individuals with autism or Asperger syndrome within a school setting (e.g., school psychologists, educational psychologists, clinical psychologists, counseling psychologists, social workers). The initial chapter contains an overview and description of the pervasive developmental disorders, the common presenting symptomatology (the “autistic triad”), and the prevalence rates of each disorder. This initial description is thorough and provides the reader with explicit and relevant information on the common characteristics of each disorder as well as the important clinical and behavioral differences among them. Many readers will appreciate the detail taken in these descriptions and will likely be better informed about the specific features of each disorder and the broader category of pervasive developmental disorders as a whole. Following from this, the book focuses on autism and Asperger syndrome specifically, beginning with a systematic description of the best practices approach to assessment through the processes of initial screening and formal assessment. Specific measures related to each of these processes are described and compared, providing the reader with evidence-based information pertaining to the utility of specific screening and diagnostic measures/tools as well as effective and efficient diagnostic process. The author then progresses on to a discussion of best practices in intervention and educational supports, including a description of the existing evidence base for a variety of commonly used approaches and strategies. The author concludes with a discussion of future research directions and specific areas in need of targeted investigation. The focus of this book is on providing practitioners and caregivers more in depth information pertaining to autism and Asperger syndrome. The layout of the book is easy to read as it is written for a varied audience. The coverage of important and relevant topics is thorough and provides targeted information for individuals interested in learning more about this class of childhood disorders. Indeed, the chapters on screening and formal assessment provide information pertaining to specific measures and their utility. Similarly, the chapters on interventions and academic supports provide a succinct overview of current popular approaches and strategies. Furthermore, important information is highlighted through diligent use of text boxes (e.g., best practices processes and procedures within several chapters) that allow the reader to discern key information at a glance. This approach is best observed in the chapter pertaining to intervention and treatment in which the author presents information on the current empirical evidence for a variety of interventions, providing the reader with a quick overview of each and a summary of the supporting evidence, or lack thereof. Another strength of the book is its focus on the screening process prior to formal assessment. The description of a best practices approach to quick and effective screening of individuals presented in this chapter is likely to be of particular benefit to educators and school psychologists. Indeed, if used, the measures and screening processes described in this chapter could reduce workload and increase the effectiveness of many such professionals by enabling them to provide the appropriate services (e.g., formal assessment, behavior management strategies, and/or consultation) efficiently. A noteworthy feature of the book is its use of two clinical case studies that are interwoven throughout several chapters. These cases provide the reader with insight regarding relevant background information, presenting symptomatology, assessment results and interpretation, and suggested intervention activities for individuals with autism or Asperger syndrome. Indeed, these case studies will likely afford greater understanding of the information provided in the book by parents, professionals, and individuals affected by autism or Asperger syndrome themselves. A final strength of the book is its inclusion of recent research and clinical information. As such, much of the reviewed literature is up to date, providing the reader with appropriate information regarding the current state of affairs for each disorder. This inclusion of recent empirical evidence is especially important given the rapid pace of research and findings and the typical delay between development and publication of volumes such as this one. Despite the many strengths of the book, two limitations are noted. First, the majority of information is psychological in nature, and classroom-based individuals will find little suited for their purposes. For example, the book contains very detailed and prescriptive information pertaining to psychological screening, formal assessment, and development of intervention planning. However, there is no information pertaining to specific “red flags,” behavioral indicators that teachers or other such school professionals should make note of. As many teachers, particularly those in the early elementary school years, keenly desire more information on how they can facilitate the identification of students with a possible pervasive developmental disorder, this book would seem to be an excellent resource to provide such important information. Moreover, as school psychologists are increasingly advocating for a larger consultative role in their work, and less of a role as a designated “tester,” providing such information that could then be passed along to teachers would afford greater consultative opportunities for school psychologists and enhance the working relationship with teachers. However, the lack of this information reinforces teachers’ continued reliance on psychologists or other mental health professionals to work with children in this population. Second, the two case studies provide an adequate picture of higher functioning aspects of individuals with a pervasive developmental disorder (e.g., “high-functioning autism” or Asperger syndrome) through the screening and formal assessment processes. However, no contextual examples of those individuals more typical of the autism population are provided. Specifically, the majority of individuals with autism demonstrate cognitive challenges and associated limitations in functioning across a variety of domains. As such, their behavioral presentation is typically much different that those described in the case studies. As well, only one of these case studies was integrated into the chapter on interventions, providing limited contextual information for the reader regarding this essential component to service delivery and support. Additional case studies may have resulted in a more inclusive and comprehensive presentation of this broad category of disorders. Thus, although the majority of the case studies provide enlightening and important information, these two specifically are more limited in scope and clinical usefulness. Overall, this book presents readers with an excellent overview of autism and Asperger syndrome. The author has expertly formatted the book and each chapter so that the reader is provided with an excellent resource of recent and relevant information pertaining to screening, formal assessment, and interventions with individuals in this population. The use of two case studies helps to highlight some of the information presented throughout the book. Although the majority of information will be useful from a clinical or psychological perspective and is representative primarily of the higher functioning end of the autism spectrum, it is believed that many school-based professionals will be able to make use of this excellent resource. The American Psychiatric Association's (APA) new diagnostic criteria for the fifth edition of the Diagnostic and Statistical Manual of Mental Disorders (DSM-5) for autism has been widely publicized. While final decisions are still months away, the recommendations reflect the work of many of the nation’s best scientific and research minds and are supported by more than a decade of intensive study and analysis. 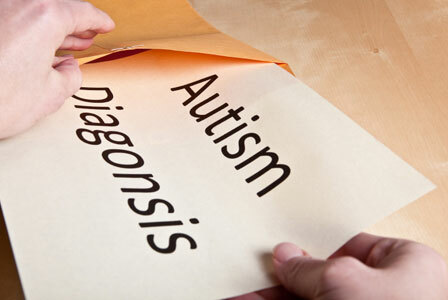 The proposal by the DSM-5 Neurodevelopmental Work Group recommends a new category called Autism Spectrum Disorder which would incorporate several previously separate diagnoses, including autistic disorder, Asperger’s disorder (syndrome), childhood disintegrative disorder and pervasive developmental disorder not otherwise specified (PDD-NOS). This new category reflects members’ conclusion that a single spectrum disorder better describes our understanding about the pathology and clinical presentation of the neurodevelopmental disorders. For the next 6 weeks, the public will once again be offered the opportunity to submit comments on the draft fifth edition of Diagnostic and Statistical Manual of Mental Disorders (DSM-5). The preliminary draft revisions to the current diagnostic criteria for autism as well as revisions to the diagnostic criteria for other psychiatric diagnoses is open for final public comment from May 2nd through June 15th, 2012. This commenting period marks the third and final time DSM-5 draft criteria will be available for your feedback. 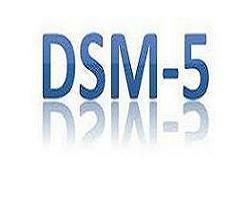 Following this period the site will remain viewable with the draft proposals until DSM-5’s publication. 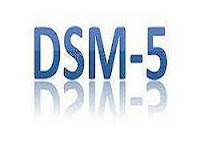 Release of DSM-5 is scheduled for May 2013, culminating a 14-year revision process. To learn more about the proposed changes to the criteria for autism and take part in this historic process, please visit the DSM-5.org Web site. Comments on the proposed revision to Autism Spectrum Disorder can be made directly via the Neurodevelopmental Disorders page.